Yahoo announced their earnings Tuesday night and it was not pretty, especially on the search side. 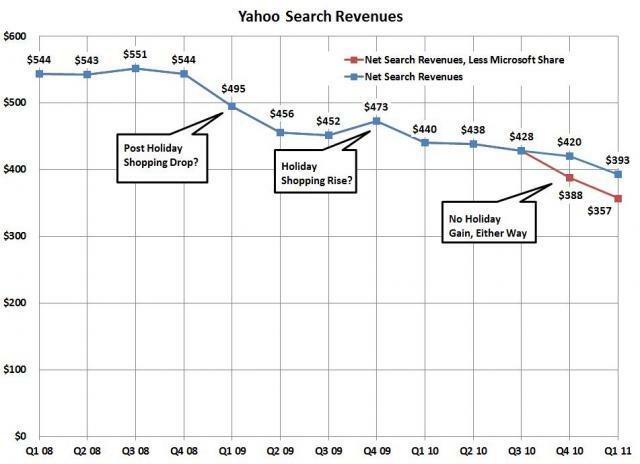 Search revenue was $357 million, a 19 percent decrease compared to $440 million for the first quarter of 2010. 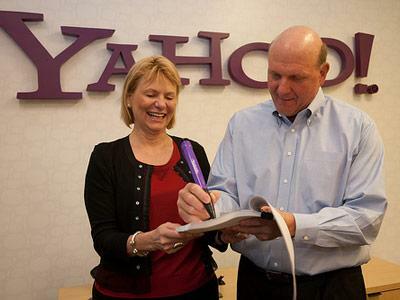 Carol Bartz threw Microsoft, their search ad partner (the ones Yahoo sold out to and gave up on search for), under the bus. "adCenter isn't yet producing the RPS we hoped for and are confident as possible. Advertisers are seeing strong ROI (return on investment), but technical limitations in the current adCenter platform mean the click volumes just isn't there yet. 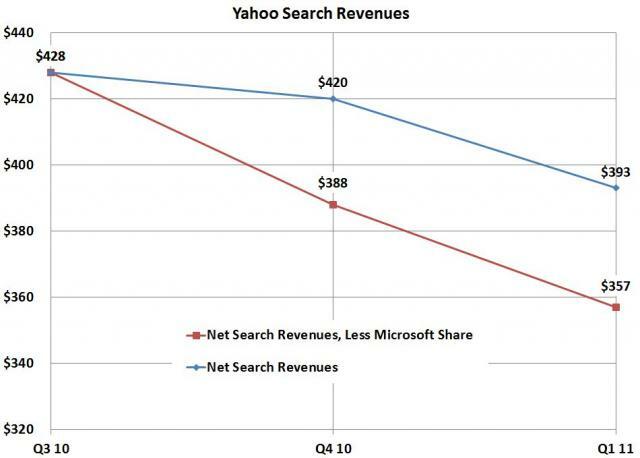 We had expected RPS to be neutral by midyear, it's now evident that it will take Microsoft longer to achieve that goal. We expect that to happen by year-end. In the meantime, the RPS guaranty helps protect our revenue and our view of the long-term potential of the marketplace remains unchanged. "We are working very close with Microsoft on this. They understand the issues and they're hard at work on systems architecture, science models and better features and functions in adCenter. They have an aggressive roadmap to bring those to the marketplace." Anyway, it is just Yahoo's sad story that continues on and on. Previous story: Google Define Operator Having Problems?